Exodus Film Group secured North American rights to the upcoming reality series based on the Velux 5 Oceans race, and will partner with Phil Keoghan of "The Amazing Race" as co-producer and host. The new series will feature skippers sailing alone around the world aboard Eco 60 racing yachts, recording the action at sea. Exodus is currently seeking a North American distribution partner for the show. 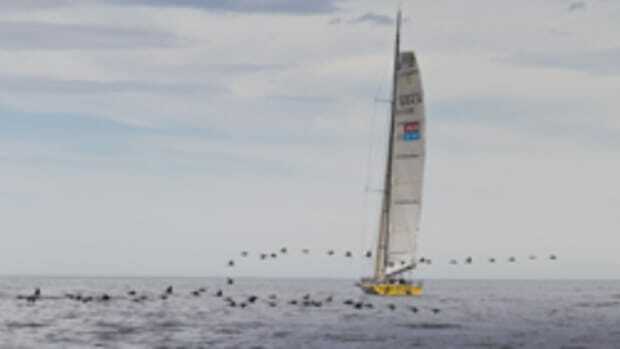 "Extreme adventure sports have been captured many times, but what makes this race so unique is the world&apos;s best sailors will take on the unforgiving oceans alone," Keoghan said in a statement. "This is a fantastic opportunity to share a physical and mental challenge that will test competitors beyond what seems humanly possible and at the same time highlight the planet&apos;s awe-inspiring oceans." In what is sure to be compelling footage, viewers will not only see Cape Horn and remote ocean landscapes, but also the emotion and physical aspects of single-handing a sailboat around the world. Run by Clipper Ventures PLC, the Velux 5 Oceans begins in France and spans nine months, with stopovers in South Africa, New Zealand, Brazil and the United States. The race&apos;s first leg starts Oct. 17 in La Rochelle and ends in Cape Town, South Africa. The second leg takes sailors to Wellington, New Zealand; the third leg to Salvador, Brazil; the fourth leg to Charleston, S.C.; and the fifth leg back to La Rochelle.